Every room is beautifully decorated in a country décor with hand made pine furniture, a fireplace with love seat and newly renovated marble bathrooms. 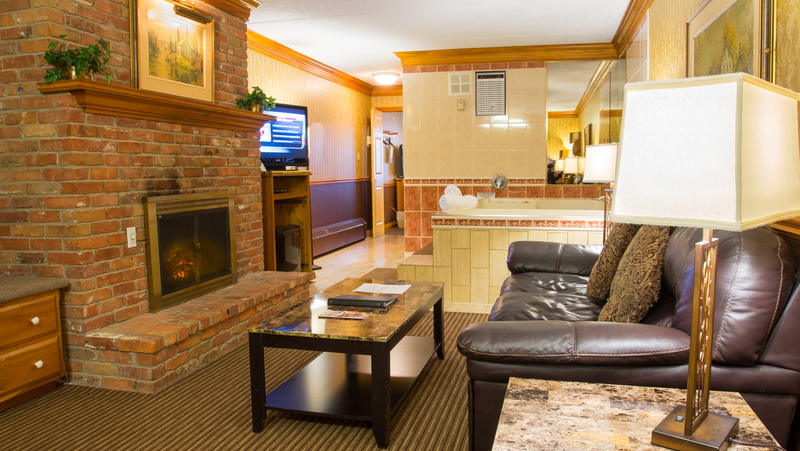 Room feature 37" Flat Screen televisions. 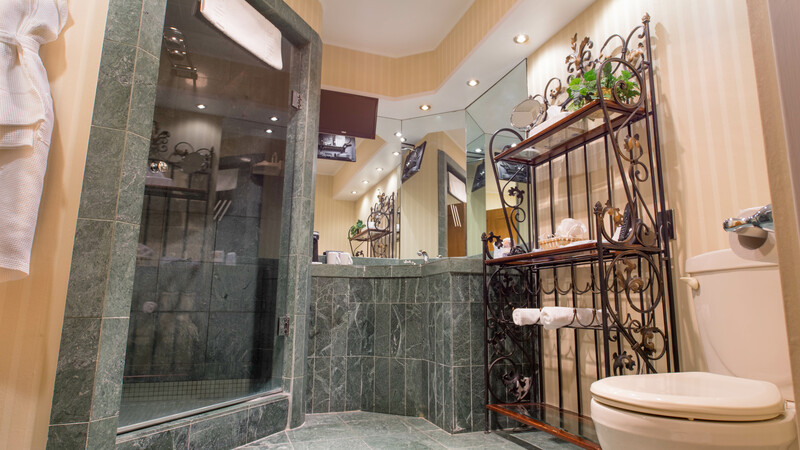 High speed Internet access, unlimited in-room coffee and a full sized ironing board & iron are just some additional amenities that are included in every room. 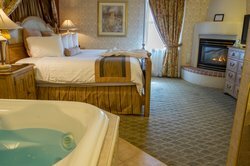 Whether you're looking for a relaxing, romantic getaway or just a night out, we have something for everyone. With these Amazing Suites (at FULL PRICE only) including full breakfast for two, sparkling wine & chocolate covered strawberries, the Fireside is the place to be. Enjoy our luxurious Fantasy Suites & Speciality Suites with each additional night at HALF PRICE!!! (including breakfast). 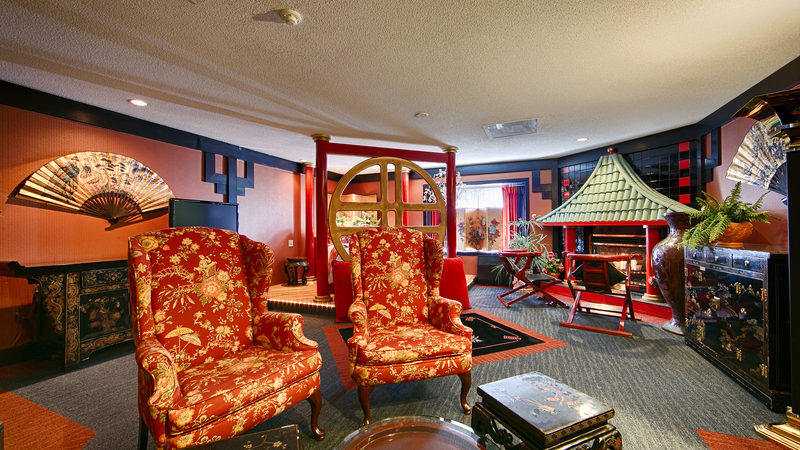 **These Suites are to be booked directly at the hotel ONLY. Call 800-567-8800 or 613-549-2211 for more details. Pets are allowed based on availabilty of the pet friendly rooms. Up to 2 dogs per room with an 80 pound weight limit. 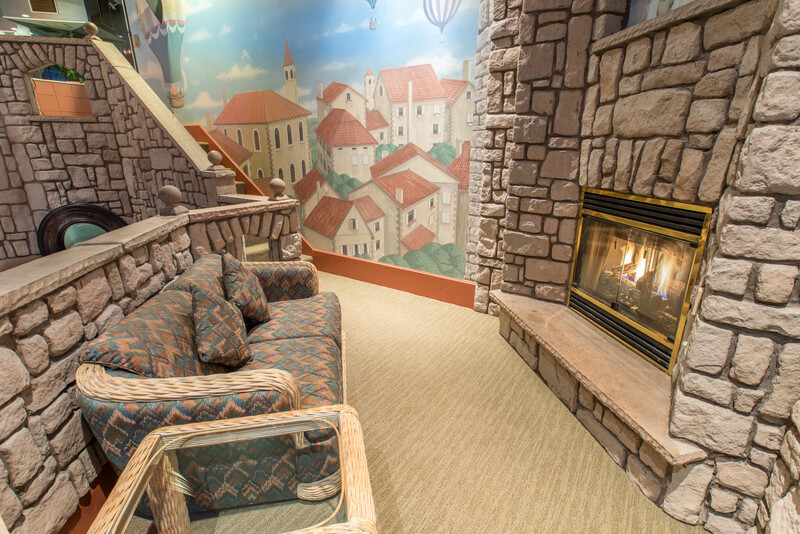 There is a $30 charge per pet per room ﻿with a maximum of $150 per week. 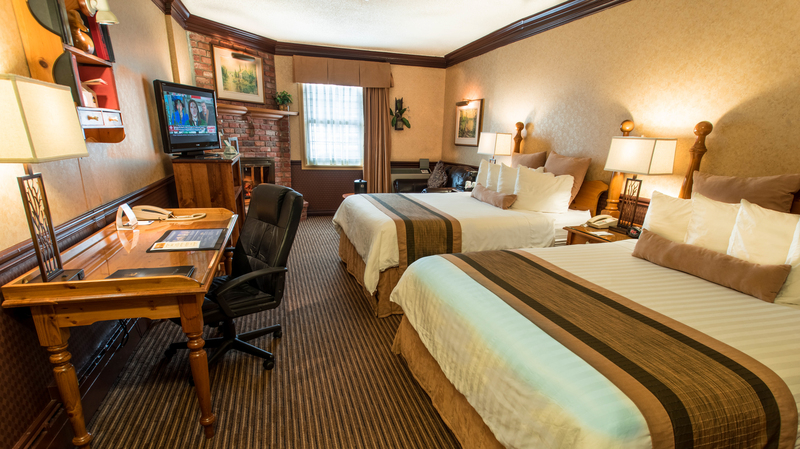 All pets must be restrained and owner must be present while any hotel employee is serviving your guestroom. Pets are not allowed on any furniture in your guestroom. Please refrain from bathing them in our tubs. Please be aware that extra fees may be incurred should there be significat additional cleaning required and/or damages. 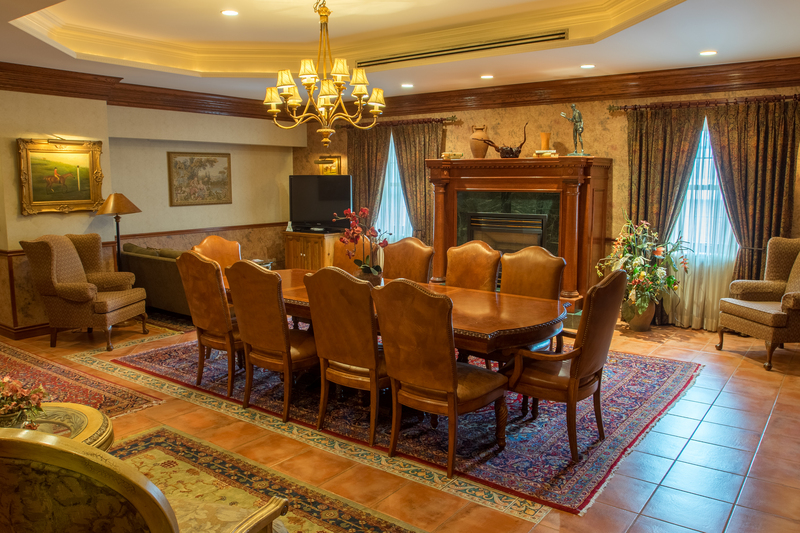 Every room is beautifully décorated in a country décor with hand made pine furniture and a fireplace with love seat. 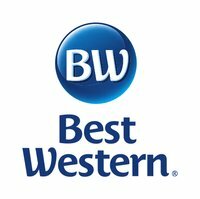 Visiting Kingston on business? 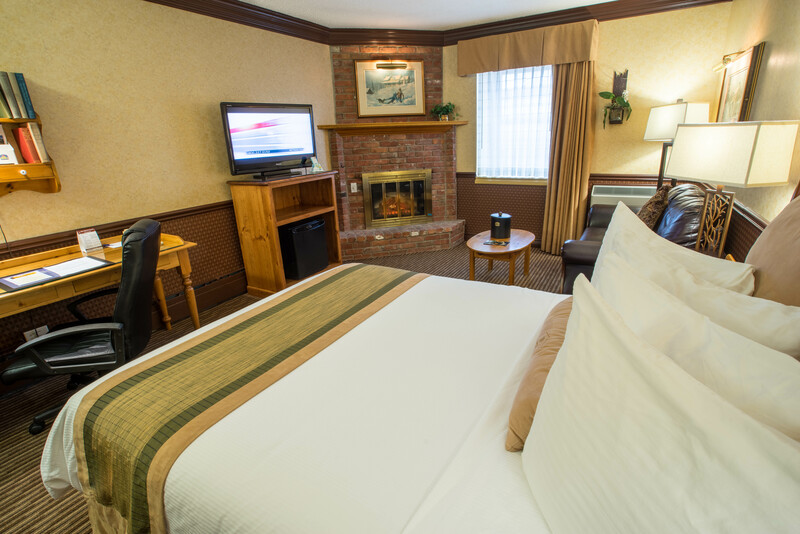 Our King Fireplace Guest Room is perfect for you! 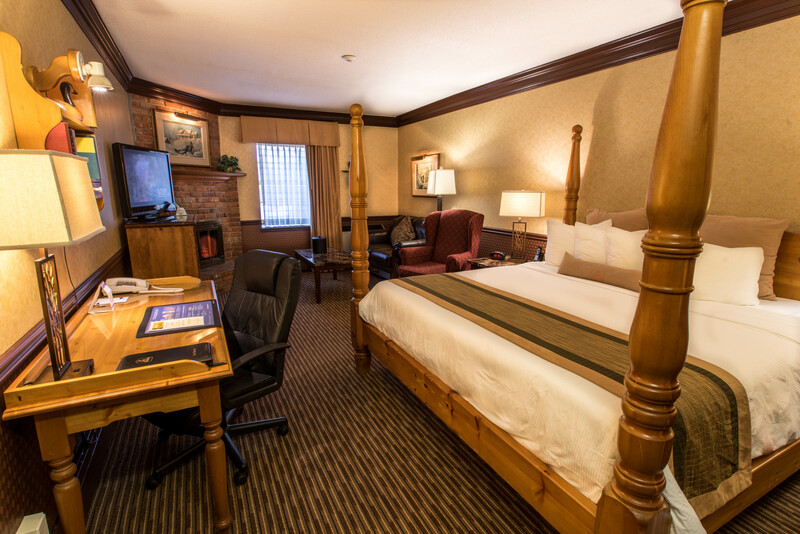 All of our King Fireplace Guest Rooms are equipped with workspace and a seating area to suit your needs. 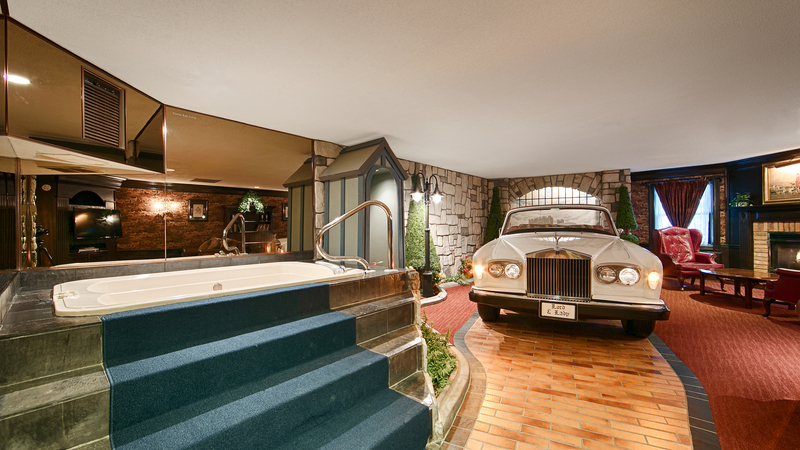 A short stroll from the castle down your private drive and you are in your Silver Shadow Edition Rolls Royce fantasy bed. 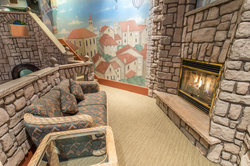 Enjoy a toast by your ambiance fireplace with complimentary sparkling wine & chocolate covered strawberries. 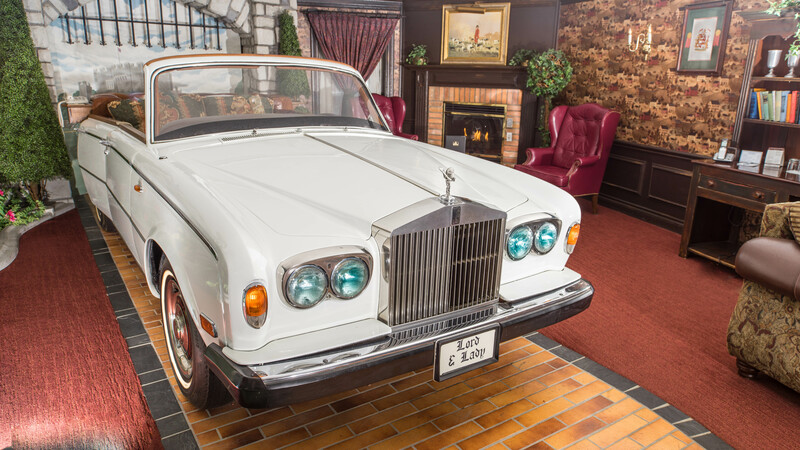 A short stroll from the castle down your private drive and you are in your Silver Shadow Edition Rolls Royce fantasy bed. 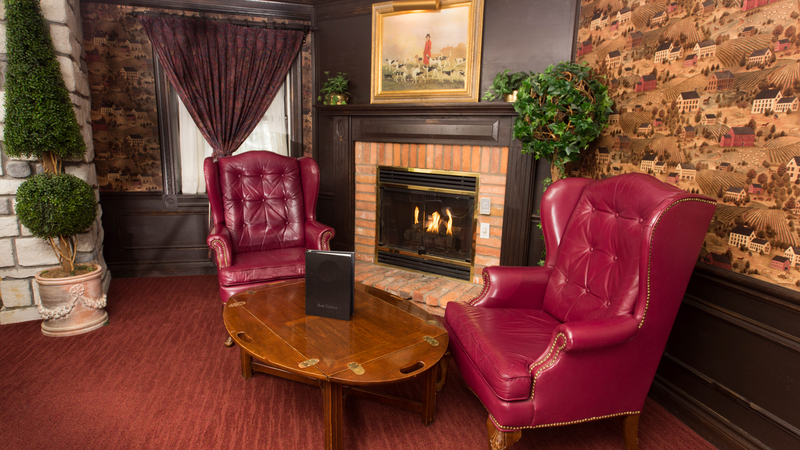 Enjoy a toast by your ambiance fireplace with complimentary sparkling wine & chocolate covered strawberries. 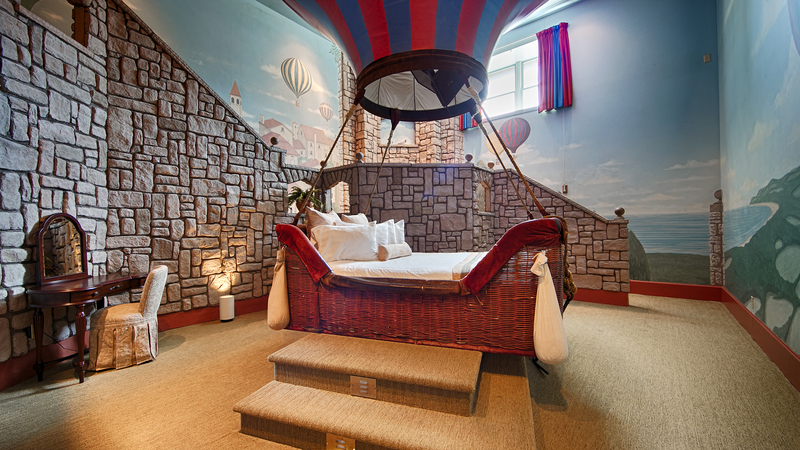 Unwind in your personal whirlpool and sauna then climb into your two story hot air balloon bed and take in the French Countryside. Enjoy your complimentary sparkling wine & chocolate covered strawberries by the ambiance fireplace and get away in style. 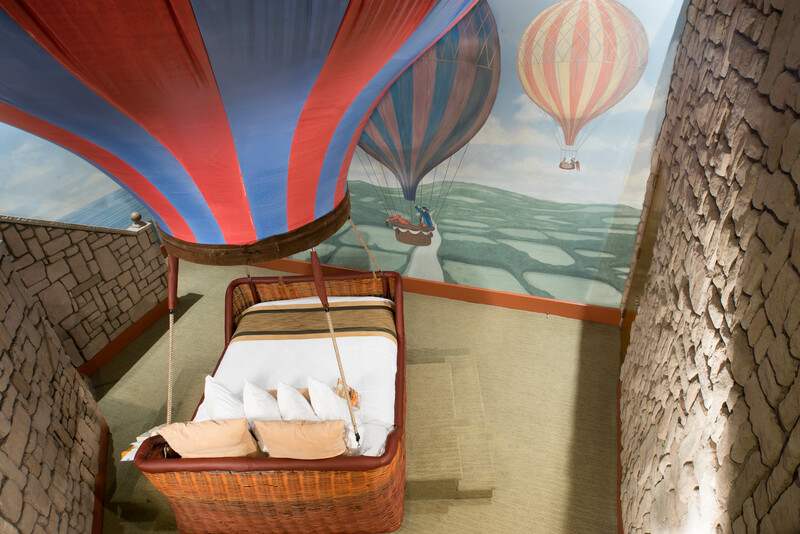 Unwind in your personal whirlpool and sauna then climb into your two story hot air balloon bed and take in the French Countryside. Enjoy your complimentary sparkling wine & chocolate covered strawberries by the ambiance fireplace and get away in style. 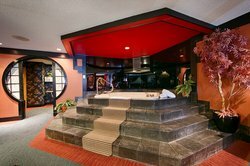 Enter through the moongate and slip on your robe. 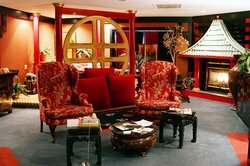 Settle back in your imperial chairs by the ambiance fireplace and enjoy the splendor of your oriental fantasy. 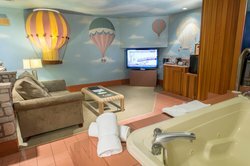 Includes complimentary sparkling wine & chocolate covered strawberries. 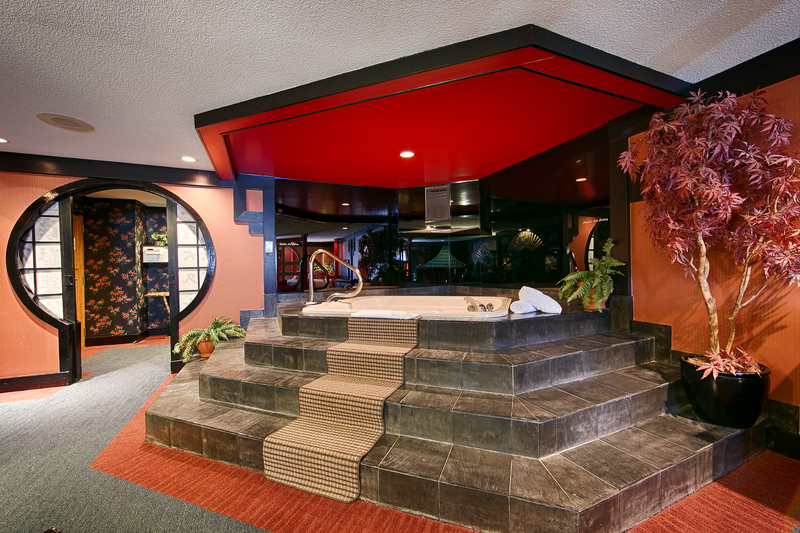 Enter through the moongate and slip on your robe. 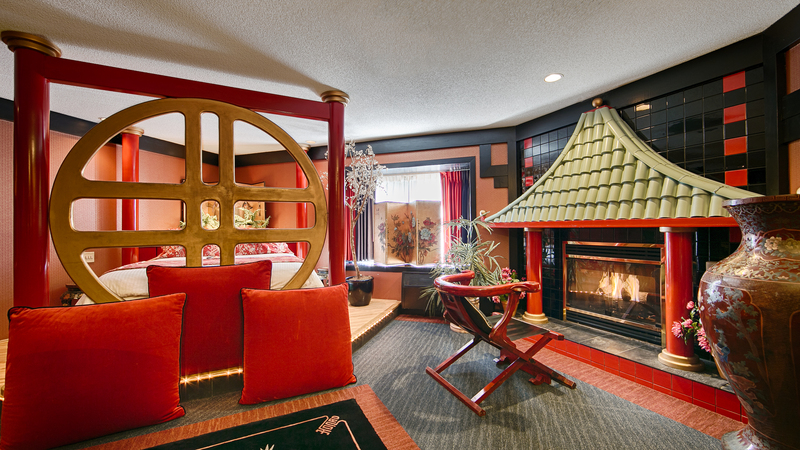 Settle back in your imperial chairs by the ambiance fireplace and enjoy the splendor of your oriental fantasy. 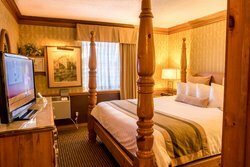 Includes complimentary sparkling wine & chocolate covered strawberries. Settle back in your imperial chairs by the ambiance fireplace and enjoy the splendor of your oriental fantasy. 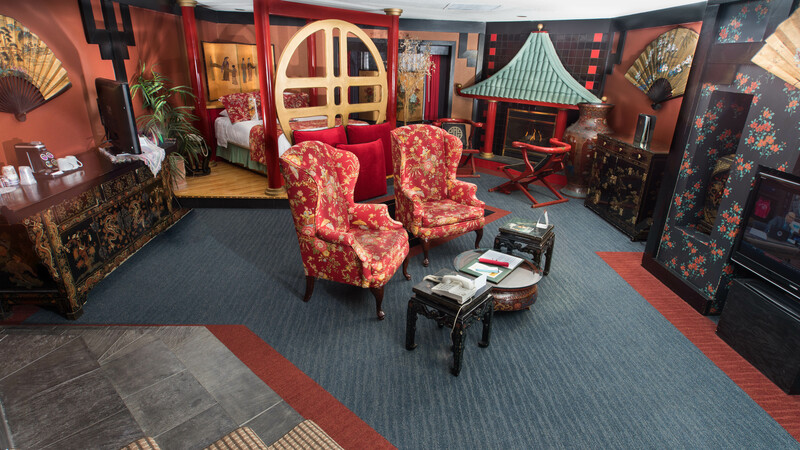 Relax by the fireplace in the imperial chairs of your Suzie Wong Fantasy Suite. Enjoy the romantic atmosphere as well as complimentary sparkling wine and chocolate-covered strawberries. 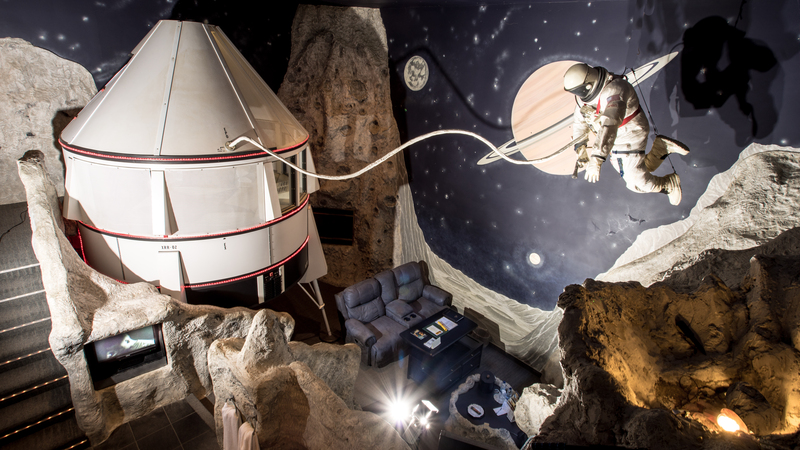 Tranquility Base is truly out of this world. 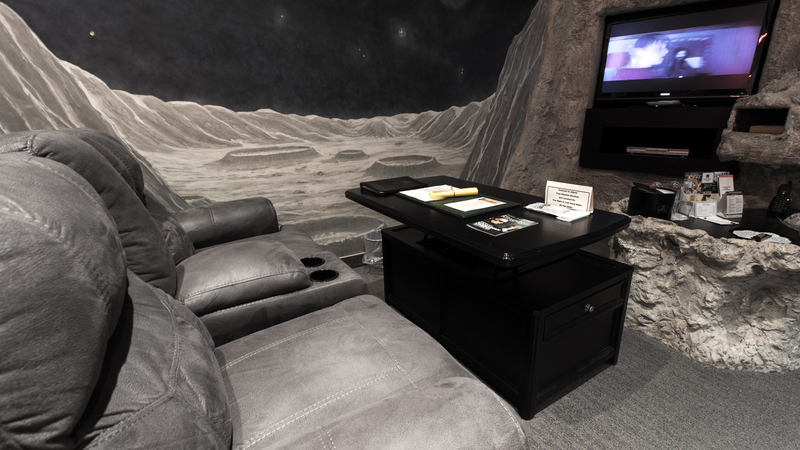 Try a relaxing dip in your personal crater pool then lay back in your lunar lander and enjoy the galactic experience. Bask in the glow of your ambiance fireplace while enjoying your complimentary sparkling wine & chocolate covered strawberries. The Renaissance Suite features a luxury private dining room for up to ten people, with full hotel menu and service. Dine in the glow of the hand crafted oak and marble ambiance fireplace or hold your next meeting in this tastefully appointed room. Also featured is a 52" Flat Screen television DVD player. 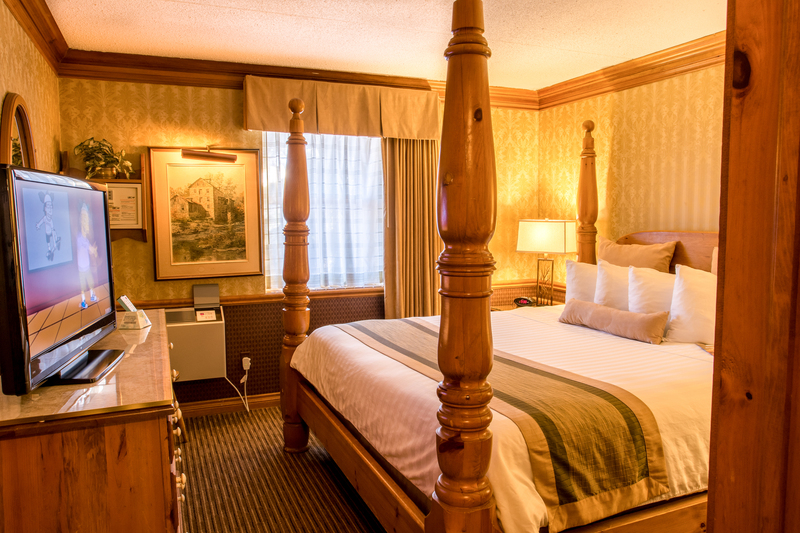 Your adjoining ensuite boasts an elegant King size bed for two. 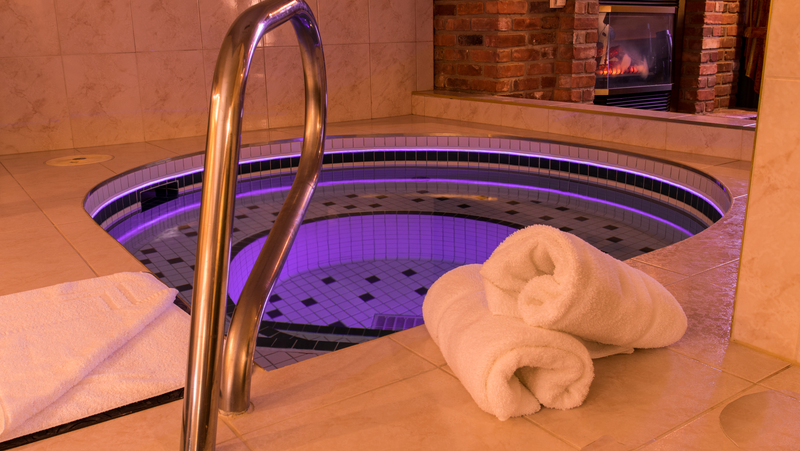 Enjoy complimentary sparkling wine & chocolate covered in the luxurious massage whirlpool and in front of an additional ambiance fireplace. The Northern Lights Suite is one of our Specialty Suites. 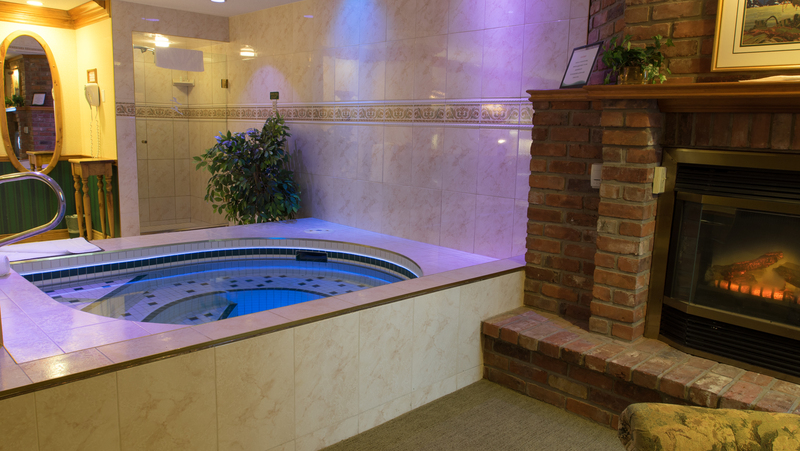 As you are pampered in the therapeutic bubbles, your spacious in-room whirlpool softly changes colour. Curl up in front of your rustic ambiance fireplace and enjoy complimentary sparkling wine & chocolate covered strawberries. 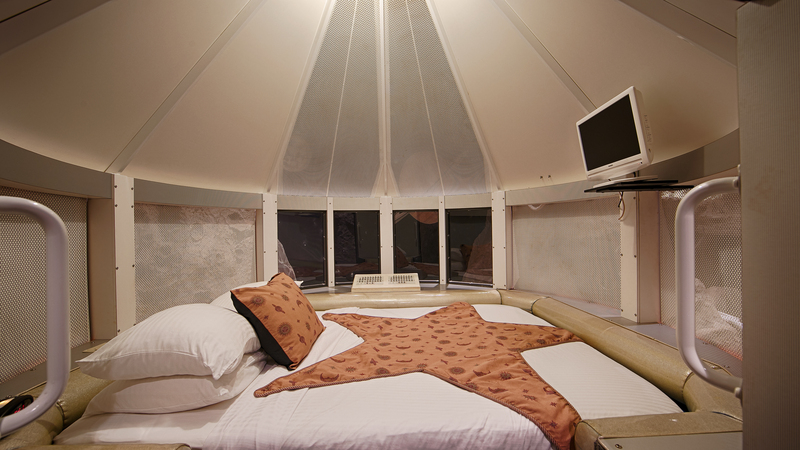 Finally, your canopy bed awaits. 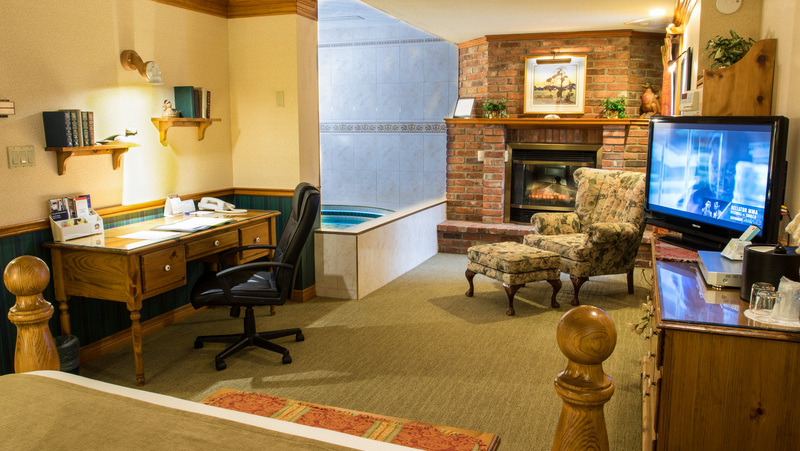 Best Western Fireside Inn is pleased to offer you this luxurious way to say I love you.